Nouriel Roubini is a professor of economics at New York University’s Stern School of Business. He is also CEO of Roubini Macro Associates a global macroeconomic consultancy firm in New York. Prior to joining Stern, he was on the faculty of Yale University’s department of economics. Dr. Roubini has extensive policy experience as well as broad academic credentials. The International Monetary Fund, the World Bank and numerous other prominent public and private institutions have drawn upon his consulting expertise. Until 2016, he was the Chairman of Roubini Global Economics regarded as one of the best economics web resources by BusinessWeek, Forbes, the Wall Street Journal and the Economist. From 1998 to 2000, he served as the senior economist for international affairs on the White House Council of Economic Advisors and then as senior advisor to the undersecretary for international affairs at the U.S. Treasury Department. 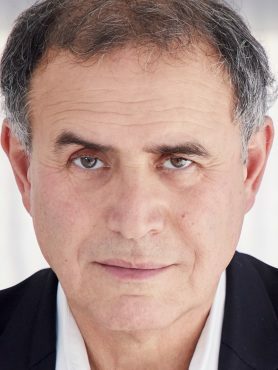 In 2006, during an address to the International Monetary Fund, Nouriel Roubini warned of the impending recession due to the credit and housing market bubble. His predictions became a reality in 2008, with the bubble bursting and reverberating around the world into a global financial crisis. Dr Roubini has published numerous policy papers on international macroeconomic issues and coauthored books including Bailouts or Bail-ins? Responding to Financial Crises in Emerging Markets (2004) and Crisis Economics: A Crash Course in the Future of Finance (2010). 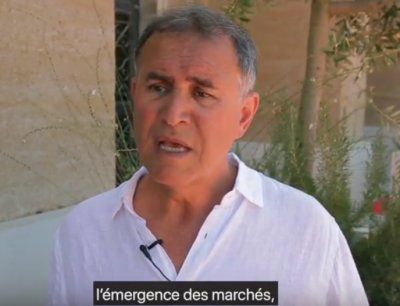 Dr. Roubini’s views on global economic issues are widely cited by the media and he is a frequent commentator for leading current-affairs publications including the New York Times Magazine and The Financial Times. Dr. Roubini received an undergraduate degree at Bocconi University in Milan, Italy and a doctorate in economics at Harvard University.